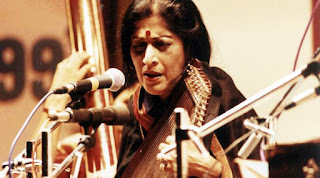 Noted Hindustani Classical singer Kishori Amonkar passed away at the age of 84 at her house in Mumbai on Monday evening. Born on April 10, 1932, Amonkar was a well-known classical vocalist. She learned music under Ustad Alladiya Khan Saheb and Kesarbai Kerkar. She was recognised as one of the foremost singers in the Hindustani tradition and as an innovative exponent of the Jaipur gharana. She was a recipient of the Rashtrapati Award, Sangeet Natak Akademi Award and Sangeet Samragni Award, among others. Prime Minister Narendra Modi condoles her demise. In a Tweet, he wrote: Demise of Kishori Amonkar is an irreparable loss to Indian classical music. Deeply pained by her demise. May her soul rest in peace.